​Our Mission is to protect and preserve the quality and riparian habitat of the inland waters of Oneida County by serving as an advocate and an information source for, and a communication link among lake and river associations and districts, county and ​local government, and the public. Our popular collection of essays on best practices for lake stewardship, lake science and shoreland restoration is available on this site to read and ​to download. (click on "DO THE RIGHT THING" above) We also provide booklets in quantity for groups and organizations for a small donation. 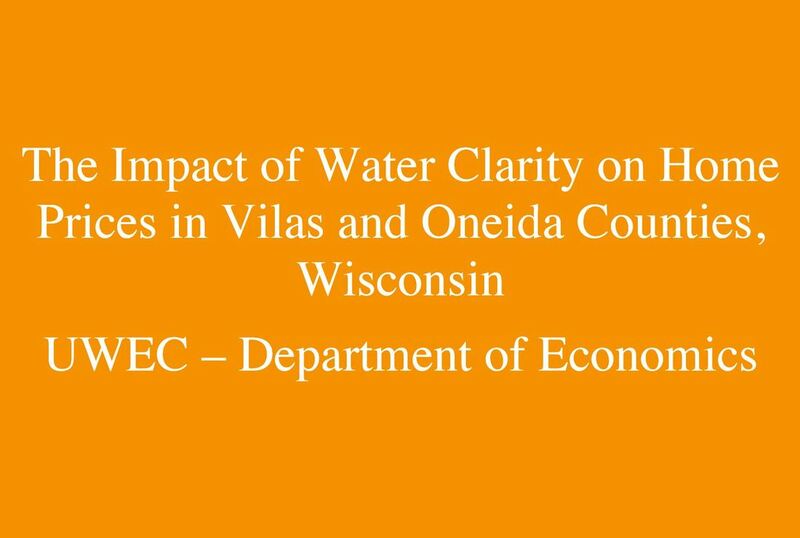 OCLRA supported a local study conducted by UW-Eau Claire that confirms improvements in lake water clarity and quality positively impact shoreland property values in Oneida and Vilas Counties. OCLRA supported a study that quantifies the central role that Oneida County's healthy lakes contribute to a healthy county economy. "Saving Our Lakes and Rivers"
In July 2018, 67+ attendees from Forest, Iron, Langlade, Lincoln, Oneida and Vilas Counties joined with us at the annual gathering of lakes and rivers advocates. Speakers addressed topics of lake quality and lake protection. Watch this space for details on our 2019 Conference, planned for July 12, 2019. 11/8/18 UPDATE: 63% of Oneida County voters casting a ballot have advised county supervisors that they do not support a metallic mine on county forest property in the town of Lynne. The county board chair was quoted by the local press to say 'mining of the Lynne property is off the table'. As of July 1, 2018, Oneida County revised its mining ordinance in response to 2017 Wisconsin Act 134. During the development and adoption of the revision, OCLRA monitored its progress and provided citizen hearing input cautioning the County Board to take into account the potentially harmful short- and long-term impacts of sulfide mining upon our ground and surface waters. Through a county-wide referendum on November 6th, the Oneida County Board sought to gauge citizen support for the development of a potential sulfide mine in the town of Lynne. It has been speculated that an open pit mine may be proposed for a Lynne site within county forest land holdings. This prospective mine site lies in close proximity to Oneida County wetlands, lakes, and tributaries of the Wisconsin River, including the Willow Flowage which has been designated as a "Wisconsin Outstanding Resource" waterbody. OCLRA strongly encouraged all Oneida County residents to become aware of issues surrounding sulfide mining and to register your informed vote in the Mining Referendum on November 6th.